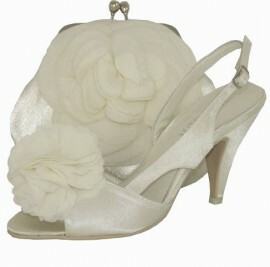 Stunning shoe in ivory satin with fabric flower by Menbur. Leather lined & padded leather insole. 8cm satin covered heel. Dust bag. Matching clutch available.